The Greeley Armory’s design was based on a standard plan by architect John J. Huddart and modified for Greeley by Sidney Frazier. This building served as a National Guard training center for 37 years. The original military company was part of the 157th Infantry organized in 1921. The 157th was composed mostly of high school and college students. The company was redesignated as Company M in 1929 and converted from a headquarters to a machine gun company. This armory was authorized for the Greeley unit in 1921 and completed in 1922 at a cost of $50,000. 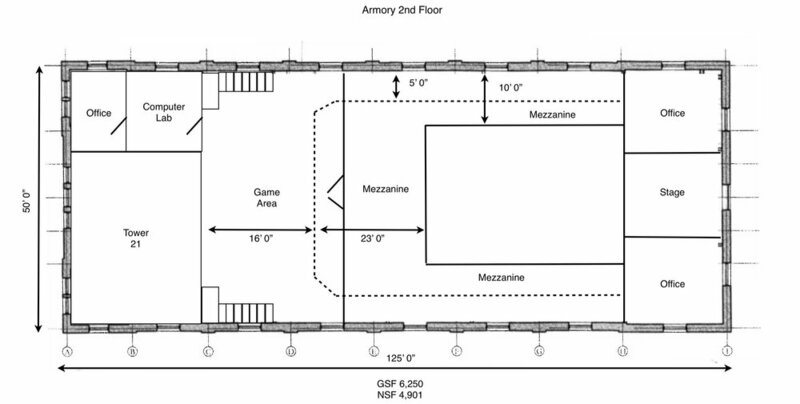 The Greeley State Armory is one of twelve armories based on the same plan. During the 1930s and 1940s, the armory hosted USO dances and a vaudeville theater. The building was the scene of traveling shows, Saturday night fights, and professional wrestling matches. In 1955 the building was used as the county morgue after an airplane exploded over Weld County killing 44 persons. The building served as the National Guard Armory until 1959. Our Lady of Peace Catholic Church then used the building as a youth center. The Boy’s Club of Greeley, organized in 1962, was also an occupant in later years. In 1978 the State Armory was sold the Grand American Fair Restaurant Chain. The Grand American Fare company had owned over 30 restaurants throughout California, Arizona, Colorado, and Nebraska. Each of these restaurants was filled with movie memorabilia and actual movie props. The Grand American Fare purchased hundreds of movie props including a B-17 bomber from 20th Century Fox. This B-17 was a retired United States Air Force WWII plane that had been used as a prop in the movie 12 O'Clock High and later for the TV series. It was also rumored to be used in Thousand Plane Raid and Tora! Tora! Tora! Thousands of people have lots of memories of the State Armory Bar and Grill and many people have no memory of the evening spent at the State Armory. The Armory was a hang out favorite of many including the Denver Broncos. Bands such as Big Head Todd and the Monsters and 311 played on this stage. On December 31, 2006 the State Armory closed. The property and everything that was in it, except the airplane (the B17 was sold to a museum in Ohio), was purchased on January 16, 2007 by Thomas and Tyler realty. In 2009 the contents of the building were auctioned off and later that year Greeley’s Historic Preservation Commissioned placed the State Armory on the Greeley Historic Registry. On April 1, 2012, Waypoints Faith Community and Tower 21, signed a long term lease with Thomas and Tyler, and remodeling began. The building was remodeled and brought up to code. The agencies received their occupancy permits in late September 2012 and reopened the Armory in early October. Waypoints Faith Community and Tower 21 received an award in 2014 from the Greeley Historic Preservation Commission for their work in restoring the Historic State Armory for community events. The State Armory was remodeled in 2012 to bring the entire building up to code and to expand the second floor balcony. The Armory is now roughly 6,500 square feet on the main floor and the second floor. Men's and women's restrooms are on the main floor. A ramp and lift are available on the north side of the building for guest who need assistance and are unable to use the stairs. There is no elevator to the second floor. Full commercial kitchen is available on the main floor. The main hall is equipped with a new sound system, two projectors and screens, live-streaming video capabilities, video and audio recording capabilities, and free wifi is available through the entire building. There are a two large meeting room spaces up stairs, as well as additional bar height seating and tables around the balcony for perfect views of the stage. Large parking lot is adjacent to the building on the south side. One of the most asked questions we get is, "Where is the plane?" The State Armory was the home of Greeley's B-17 for several decades. First hung from the ceiling as with in 1978, with the Grand American Fair created the State Armory Bar and Grill. It hung in the Armory until the restaurant/bar closed December 31, 2006. For almost 30 years thousands of people danced and partied underneath the B-17. Earlier in 2006, the Urbana Group, from Ohio, purchased the ball gun turret and other parts of the hulk of the body. After the restaurant closed the Urbana Group came back in and purchased a section of the fuselage. 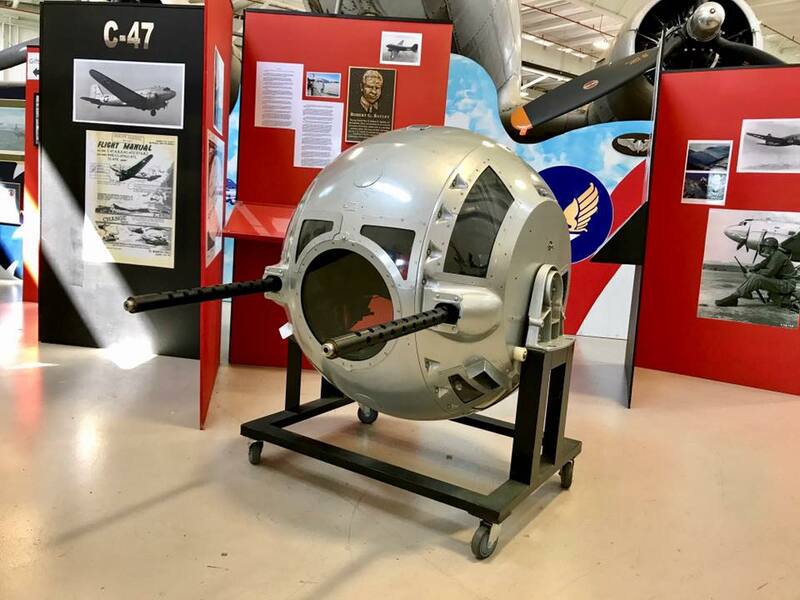 Another group from California purchased the rest of the B-17 bomber including the nose and radio compartment. The group from Urbana is currently using the sections purchased from the State Armory to finish building the Champaign Lady. 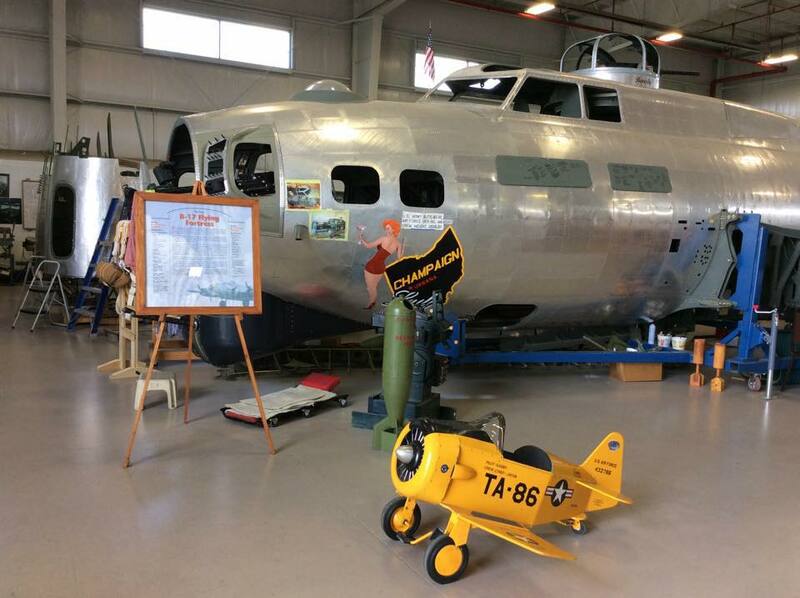 The Champaign Lady will be a complete and fully functional B-17 scheduled to begin flying in the next few years. Please follow their Facebook page for more information. The group from California is also restoring a B-17 but not to flying condition. The other sections of the Greeley B-17 will be combine with other B-17 sections to make a museum quality B-17.